Today we’re going to give you actionable and specific ecommerce marketing secrets using the very sophisticated HubSpot marketing automation tool. First, answer this important question: How well do you know your customers? As an ecommerce business, it is imperative that you know as much as you can about the people buying from you. So you can market to them in the most effective ways possible. 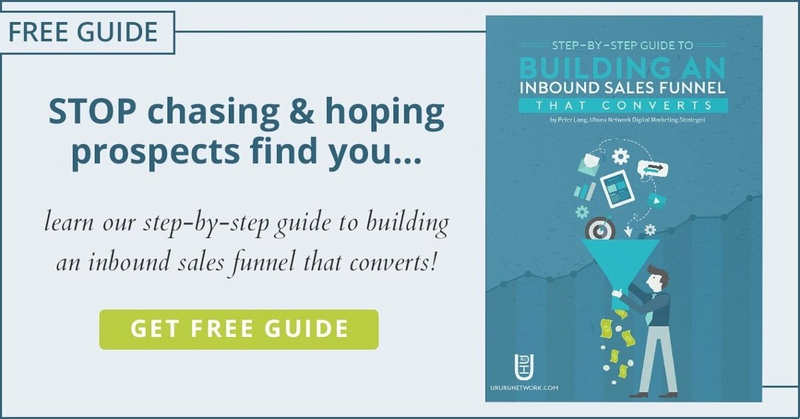 Lucky for you, HubSpot has made it really easy to gather information about each of your customers to create a highly targeted (and therefore highly powerful) marketing strategy. Then they turn around and make it incredibly simple for you to put that information into action. Want to know how to make the most of your customer tracking, email marketing, retargeting, and more? Read on; it’s about to get really good! HubSpot makes it easy for you to take the information you gather from your ecommerce platform and plug it straight into your marketing campaigns. This allows you to create specific campaigns around buyer interactions with your website. Creating a technology stack like this allows you to make the most of both platforms and increase the returns you see on your marketing budget. HubSpot’s ecommerce integrations allow you to group customers by their average purchase amounts and the average time between purchases. If some of your customers have stopped buying, don’t fret. You can group those who haven’t purchased in a certain amount of days—let’s say, more than 180—and send them a highly targeted email with a compelling offer that will bring them back into the funnel. Try identifying the items a customer has left in their cart and target them with a nurturing email that includes a picture of that item or a link back to the specific sales page. Using these Smart CTAs will give you a much better chance of rallying an indecisive customer into completing the sale. You can target specific groups of your list based on their interactions with previous marketing. For example, create a list of people who converted on retargeting emails in the past. Those who have converted in the past are more likely to convert from this type of email again. Then create new types of campaigns to test on those who didn’t convert with the previous type. HubSpot Ecom Pro Tip: Invest in the reporting add-on, it’s highly valuable. Use the information you gather from these retargeting campaigns to generate reports about cart recovery statistics. Determine your return by comparing the marketing investment made versus the revenue generated. The more you know about what works and what doesn’t, the better you’ll be able to market your brand, and the better your budget will be spent. Many companies make massive investments in email/content/paid and don’t take advantage of HubSpot’s ability to provide a better overall view of the bigger marketing picture. Make sure you’re reviewing these marketing reports monthly. HubSpot gives you an excellent way to track the performance of individual campaigns by tagging the assets associated with them. Assets are things like the CTA at the bottom of an email or the landing page that it leads to. Tagging them allows you to track them and determine the digital marketing ROI created by individual campaigns. Too many ecommerce brands don’t fully utilize Lead Scoring. Even more, simply ignore this powerful tool altogether. The superb Contact Record feature (integration with Shopify/Magento) allows you to create in-depth profiles around each of your customers and create a clear picture of who they are. Building a predictive lead scoring system will help you to identify a customer’s likelihood to repurchase based on their interaction with the website and your content. Creating a better picture of a segment of your list allows you to create more personalized PPC ads that are more appealing to the groups you’re targeting. Using further measurements and parameters to create smart lists allows you to better target groups within your list based on their interaction with your brand. For example, while you can target based on purchase history, you can also target based on browsing history and display ads for those items where you conduct your paid search. Rather than simply pushing purchase intent through remarketing, use the Facebook pixel to put your content in front of them, too. Track the life cycle of your customers and present the content that fits their location in the buyer’s journey. I highly recommend taking a hard look at how your different platforms can interact with one another to provide you with the most productive automation. You have fixed expenses around your HubSpot, ecommerce service, PPC (For example, Facebook advertising), and likely a few others. Many of these services can be integrated into HubSpot or HubSpot can use information provided by them to further enhance your marketing. Whenever we partner with a new client and diagnose their current situation, 99% of the time they’re underutilizing their HubSpot account. Most notably for fashion ecommerce brands is the Campaigns tool. When you’ve got an influencer lined up to collaborate with your brand, make sure to build each influencer a campaign in HubSpot. Make sure there is an email capture that adds visitors from the campaign to your nurturing workflow. You’re looking to automate your ecommerce marketing and probably as much of the rest of your business as possible. It only makes sense to make the most efficient use of the technology at your disposal (and that which you’re already paying for). Sophisticated platforms like HubSpot represent a valuable asset that the majority of brands are not utilizing to its full potential. Schedule time with one of our consultants to review your current usage and how you can take your Hubspot ecommerce marketing to the next level.